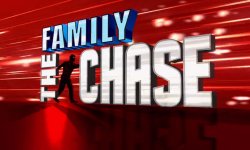 Want To Be On "The Chase"? 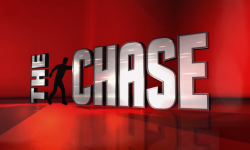 The Chase isn't just a quiz; it's a race, where the contestants must avoid being caught by The Chaser. Stay ahead of The Chaser and they share the pot; get caught and they lose the lot! The second album of Easy Listening favourite tracks released November 2017. 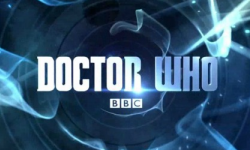 Bradley announced as new Dr Who friend in the upcoming series to air Autumn 2018. A night of variety to celebrate 300 years since the formation of the United Grand Lodge of England and in aid of the Royal Variety Charity. 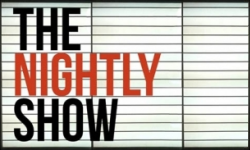 Exciting new daily 30 minute entertainment show going out at 10pm, weekdays on ITV. 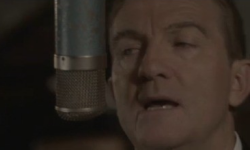 The debut album Chasing Dreams from Bradley Walsh. 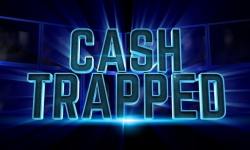 Six contestants go head-to-head in order to escape with the most amount of cash. This is the quiz show where NO ONE LEAVES until somebody WINS! 10 years since the brainchild of Robbie Williams and Jonathan Wilkes came to life on the football pitch all in aid of Unicef, the world’s leading children’s organisation. 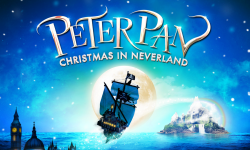 From one of the world’s most famous stages, spectacular speciality acts from around the world. 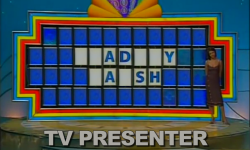 Quiz show hosted by Bradley Walsh. 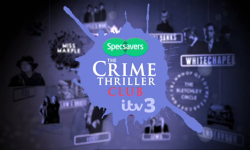 Four contestants must pit their wits against the Chaser, a ruthless quiz genius determined to stop them winning the cash prize. 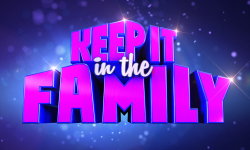 Two families go head to head in a series of games to win all sorts of prizes. Dropping celebrities thru trap doors along the way. 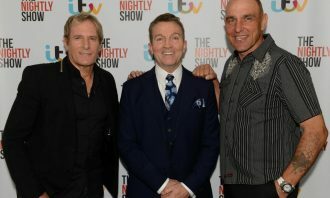 Starting on Challenge TV from April 13, repeats of the iconic 1997 game show hosted by Bradley Walsh and Jenny Powell. Coming to BBC One this Spring a brand new comedy featuring Bradley Walsh and Kayvan Novak taking on investigations, crimes and mysteries on a Spanish island. 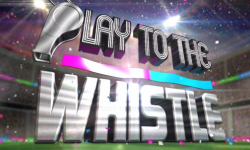 Hosted by Holly Willoughby, Play To The Whistle is a comedy entertainment show with sport at its heart. 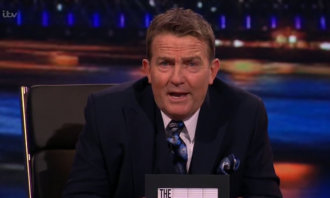 Bradley Walsh hosts the series for fans of crime thrillers and whodunnits, featuring famous faces from the fictional world of crime. 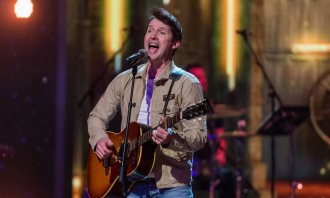 In the third show of the series guests confirmed to appear include; singer and Glee star Lea Michele, 80’s pop sensation Rick Astley, the spectacular Yamato drummers all the way from Japan and comedy from Mark Watson. 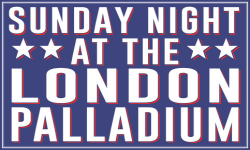 The 2,200 strong audience inside the Palladium will also be featured and there will be huge surprises, special moments and prizes to be won. 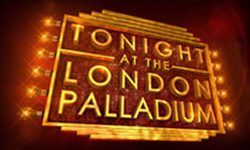 Hosted by Holly Willoughby, each week the two teams battle it out to prove their sporting prowess through a series of madcap games and comedic quizzes. 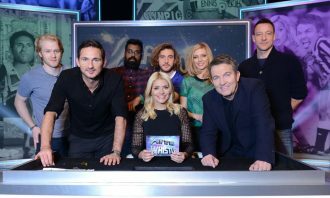 Teams captains Frank Lampard and Bradley Walsh are back along with Frank’s regular side-kick – the hilarious Romesh Ranganathan – and they’ll be joined by the biggest names in the worlds of sport, comedy and entertainment. Their rivalry grows more intense each series meaning that for both Frank and Bradley losing simply isn’t an option. On Frank’s team this week will be Queen of the Jungle Scarlett Moffatt and Frank’s regular wingman comedian Romesh Ranganathan and joining Bradley will be comedian Rob Beckett and golfer Andrew Johnston. Hosted by Holly Willoughby, each week the two teams battle it out to prove their sporting prowess through a series of madcap games and comedic quizzes. 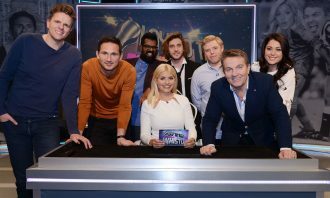 Teams captains Frank Lampard and Bradley Walsh are back along with Frank’s regular side-kick – the hilarious Romesh Ranganathan – and they’ll be joined by the biggest names in the worlds of sport, comedy and entertainment. Their rivalry grows more intense each series meaning that for both Frank and Bradley losing simply isn’t an option. On Frank’s team this week will be footballer Michail Antonio and Frank’s regular wingman comedian Romesh Ranganathan and joining Bradley will be comedian Joel Dommett and Judy Murray. Hosted by Holly Willoughby, each week the two teams battle it out to prove their sporting prowess through a series of madcap games and comedic quizzes. 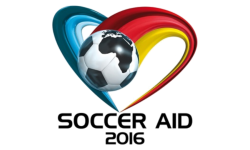 Teams captains Frank Lampard and Bradley Walsh are back along with Frank’s regular side-kick – the hilarious Romesh Ranganathan – and they’ll be joined by the biggest names in the worlds of sport, comedy and entertainment. Their rivalry grows more intense each series meaning that for both Frank and Bradley losing simply isn’t an option. 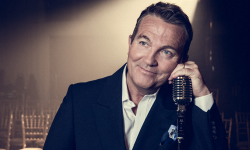 On Frank’s team this week will be TV presenter Ore Oduba and Frank’s regular wingman comedian Romesh Ranganathan and joining Bradley will be comedian Kevin Bridges and footballer Ashley Cole. 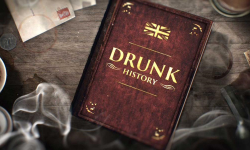 Hosted by Holly Willoughby, each week the two teams battle it out to prove their sporting prowess through a series of madcap games and comedic quizzes. 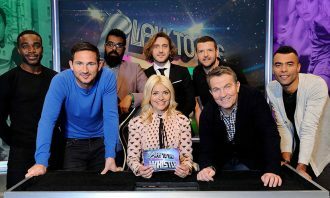 Teams captains Frank Lampard and Bradley Walsh are back along with Frank’s regular side-kick – the hilarious Romesh Ranganathan – and they’ll be joined by the biggest names in the worlds of sport, comedy and entertainment. Their rivalry grows more intense each series meaning that for both Frank and Bradley losing simply isn’t an option. On Frank’s team this week will be TV presenter Jake Humphrey and Frank’s regular wingman comedian Romesh Ranganathan and joining Bradley will be comedian Rob Beckett and Olympic gold medallist hockey player Sam Quek. Hosted by Holly Willoughby, each week the two teams battle it out to prove their sporting prowess through a series of madcap games and comedic quizzes. 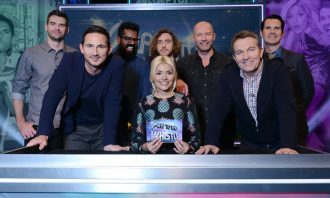 Teams captains Frank Lampard and Bradley Walsh are back along with Frank’s regular side-kick – the hilarious Romesh Ranganathan – and they’ll be joined by the biggest names in the worlds of sport, comedy and entertainment. Their rivalry grows more intense each series meaning that for both Frank and Bradley losing simply isn’t an option. On Frank’s team this week will be cricketer James Anderson and Frank’s regular wingman comedian Romesh Ranganathan and joining Bradley will be comedian Jimmy Carr and footballing legend Alan Shearer. 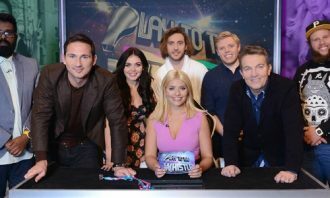 Hosted by Holly Willoughby, each week the two teams battle it out to prove their sporting prowess through a series of madcap games and comedic quizzes. 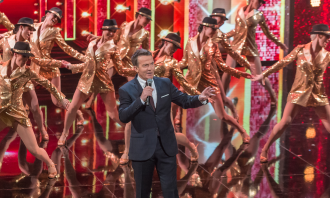 Teams captains Frank Lampard and Bradley Walsh are back along with Frank’s regular side-kick – the hilarious Romesh Ranganathan – and they’ll be joined by the biggest names in the worlds of sport, comedy and entertainment. Their rivalry grows more intense each series meaning that for both Frank and Bradley losing simply isn’t an option. 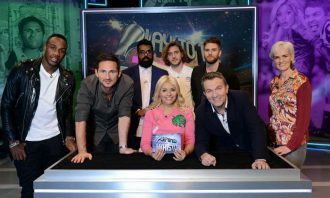 On Frank’s team this week will be Paralympic Gold Medallist Jonnie Peacock and Frank’s regular wingman comedian Romesh Ranganathan and joining Bradley will be footballer John Terry and Countdown’s Rachel Riley.